Susan Hirshman is president of SHE, a consulting firm focused on financial literacy for women and the author of "Does This Make My Assets Look Fat?" 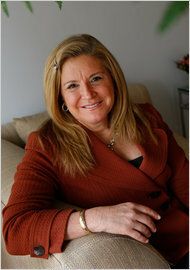 Susan Hirshman is a Speaker at the Inaugural MACsWomen Success Summit! Women's Entrepreneurs Summit on the first Saturday in October in White Plains, NY.